The ruthless military junta that hosted the 1978 World Cup in Argentina lit the stage to maximum wattage and leveraged the spectacle to flashiest effect, by hook, crook and any means necessary. A world champion team would obviously cap that off, as would an obediently silent public and extermination of political enemies, so they duly made this winning trifecta come to pass. That it should happen to involve match rigging, bribery, bulldozing of shantytowns and villas miserias, “disappearing” tens of thousands of dissenters in abductions, incarcerations and torture, as well as forced relocation of squatters or any other huddled undesirable masses, so much the better. The junta hired a PR firm Burson-Marsteller to help improve the likeability of their public face, however. They weren’t completely oblivious to popular opinion. The generals had a three-point plan. Silence all dissent. Grease the wheels to first prize. Claim the glory as their own, a divine right along with the total subjugation of the people in their reign of terror. But the people would wear smiles for the cameras. Never mind that between 1976 and 1983 the junta brought about the death of 30,000 fellow Argentines. Or that as in Pinochet’s Chile, soccer stadiums sometimes doubled as temporary detention centers for political prisoners. One can understand why the world community might have issues with a World Cup in late-’70s Argentina. But just like the devil may care of the cat burglar mustache on head junta big man General Jorge Videla, nicknamed the Pink Panther because of his overall look (but mostly the mustache and his stealthy lurk), it all went down, no matter what the moral authorities had to say about it. 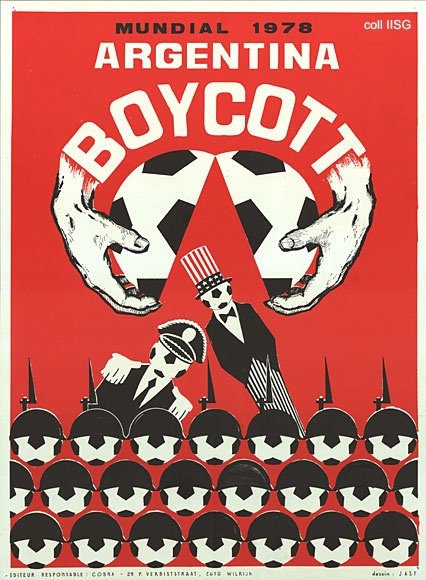 Exiles and human-rights organizations tried to organize a boycott from abroad, but missing out on the World Cup seemed too steep a price for most nations and no one delivered on their rhetoric when the time came. Far outstripping an initial proposed budget of $100 million to $700 million, a mysterious murder transpired of the prime finance official days before the Dudley Doright planned to speak against the expenditure. The government conveniently blamed the murder on government dissidents, 30 of whom were found massacred the next day. 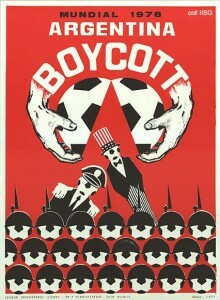 The junta proceeded to spend big on the Mundial with no further interference. 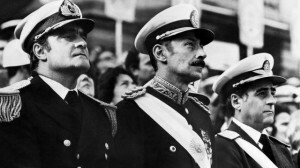 But just like that huge honking mustache on General Jorge Videla, the boldness of it was too obvious to fail to see–not to say they didn’t get away with it all. 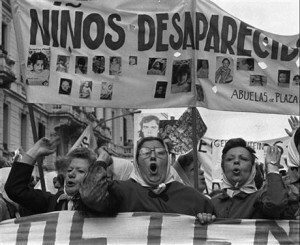 Only in the Plaza de Mayo did the mothers and grandmothers of the “disappeared” attract the cameras not trained in on the pitchside exploits. But mostly even the protests of the Madres de la Plaza de Mayo went ignored. The junta cut funds for hospitals and schools, and allegedly (almost definitely) diverted them in part Peru to throw a critical game by at least 5 goals in last match of the semifinal group stage (different system from now). Arms, grain and $50 million in debt forgiveness sweetened a theoretical deal. The stakes? If Argentina won by more than 4 goals, arch-rival Brazil would see its tournament summarily terminated and Argentina in the finals. Peru lay down obediently to a 6-0 hiding. Allegedly, after the the fourth goal went in, a bomb detonated at the house of a minister who had criticized World Cup costs. Later, when ecstatic Argentinians flooded the street, toasting the generals presiding on high on the balcony of the presidential palace, the junta agreed as one “job well done,” money well spent. To celebrate, the military provoked Chile over three small islands in the Beagle Channel that escalated to war, ended only by Vatican intervention. The event foreshadowed the attempted takeover of the Falklands which in turn brought the junta’s eventual downfall in 1983. The junta really should have stuck to match rigging, corruption and torture. Their track record with island military victories was abysmal. At the rest, they excelled. Ironically, considering Maradona’s later infamous drug busts, some players may also have been given illegal injections for the match. Insiders say Mario Kempes and Alberto Tarantini had to keep running after the match to wear off the excess effects and that a waterboy had to provide urine samples. The Dutch team refused to shake hands with junta leader Jorge Videla after the Men’s World Cup final. He probably would have executed them all for their brazen disrespect but for all the damn cameras. After the tournament, Maradona came on the scene. Controversially left off the 1978 team because he was too young (17), he captained the Argentine 1979 World Youth Cup team in Tokyo. Maradona exploded and brought the Cup back to Argentina in style. The junta had saturated state television with the Argentina victories, with an important exception. They’d censored all images of protest or anti-junta banners in the stands. Upon his return, the junta paraded Maradona around, conscripted him into the army, sheared his hair and then–it seems laughable now–advised him to carry on in his capacity as a role model for Argentina’s youth. 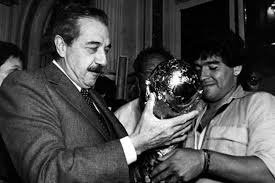 Maradona later claimed in his autobiography that he had no choice but to shake General Videla’s hand, and to be honest, at 18 he hadn’t developed the ego, waistline or godlike status he would later inhabit so profusely. Videla either had no crystal ball, possessed an excellent sense of humor or just couldn’t see the weight gain, the coke, the prostitutes and the Che Guevara tattoo in that giant orb, or the classic future clip of him calling George W. Bush “human garbage.” Perhaps the mustache got in the way or scrambled reception. Argentina made it to the semifinal group stage of the 1982 World Cup in Spain, but crashed out with losses to Italy and Brazil. Any feel-good revival factor the junta may have hoped for in the shambles of the Falklands aftermath died then and there. Maradona didn’t have a great tournament in 1982. But in Argentina, Maradona is a god. Therefore, he must have done it on purpose, as gods do. 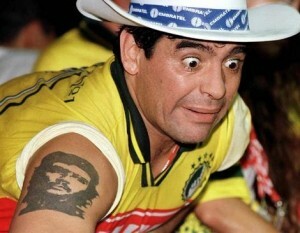 Therefore, Maradona toppled the junta singlehandedly. One Maradoninian hand can smite whole armies. After the junta collapsed in 1983, Videla got sentenced to life his many human rights crimes, then pardoned by a later president, then re-sentenced for apparently illegally distributing babies of pregnant dissident women his thugs abducted. You normally think of a cat burglar junta leader as above black market adoption, but then did anyone ever really know Videla? The court ruled his former pardoning unconstitutional, regardless, the nasty baby snatcher. 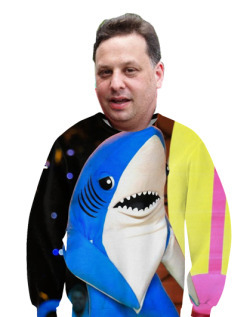 He eventually died in prison on May 17, 2013.